I took my first vacation without my men this weekend! I left the boys to fend for themselves while I headed down to Atlanta to see the Hydes and one Hyde-to-be. 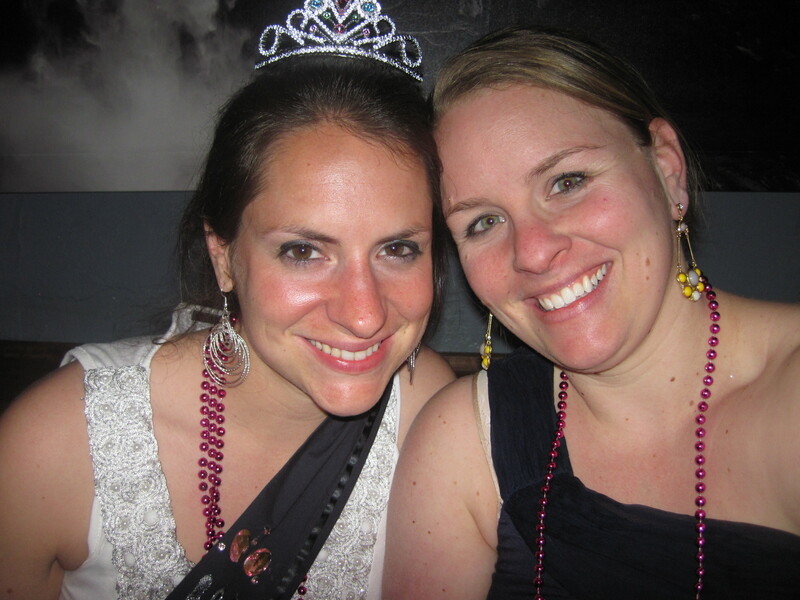 The weekend was fun-filled: a 5k charity run, a bridal shower, and a bachelorette party. 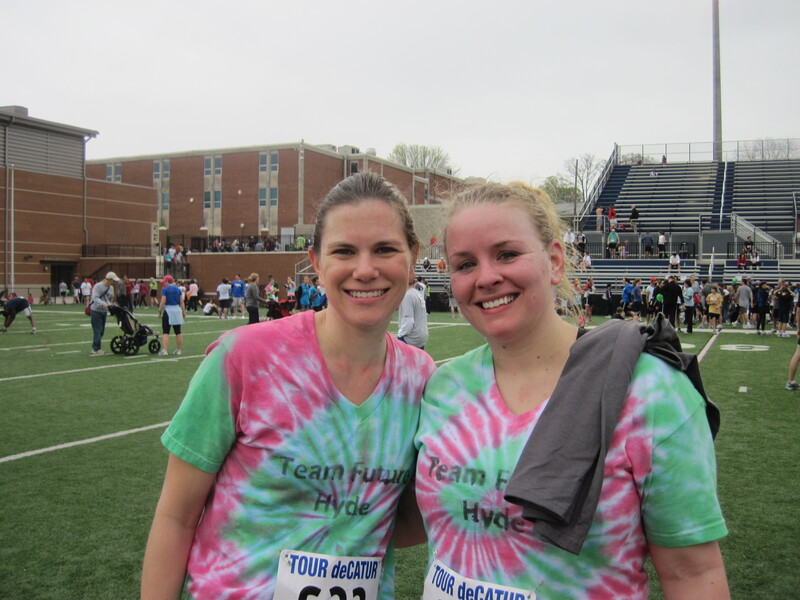 The 5k was extra exciting because it was the first race I’ve run since last May (when I was about 2 months pregnant). You may know that I kept running until I was 8 months pregnant, but that I cut back on my mileage so that I was running about 1 mile three times per week… a long way from running 3.1 miles all at once! Even though I was nervous about getting back on the road again, I finished the race. The clock showed a better-than-I-expected time of 33 minutes and 35 seconds… and it took a few minutes to get across the starting line (so my time was probably closer to 30 minutes! go me!). Next stop is the 10-mile Broad Street Run on May 1st. Yikes! After the race (and fortunately before the severe thunderstorms that ravaged Atlanta this weekend), Kimberly and I drove around town picking up more food for Dawn’s bridal shower. For those of you who don’t know, my cousin Timothy (Kimberly’s youngest brother) is getting married this summer! Dawn is quite the catch – an intelligent and talented seminary student. 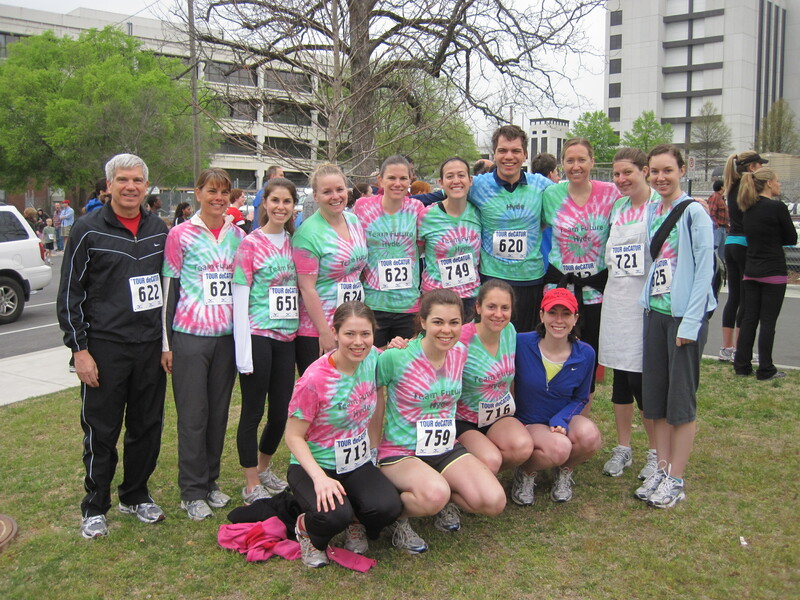 Dawn coordinated an enormous team of runners to participate in the 5k before her bridal shower. 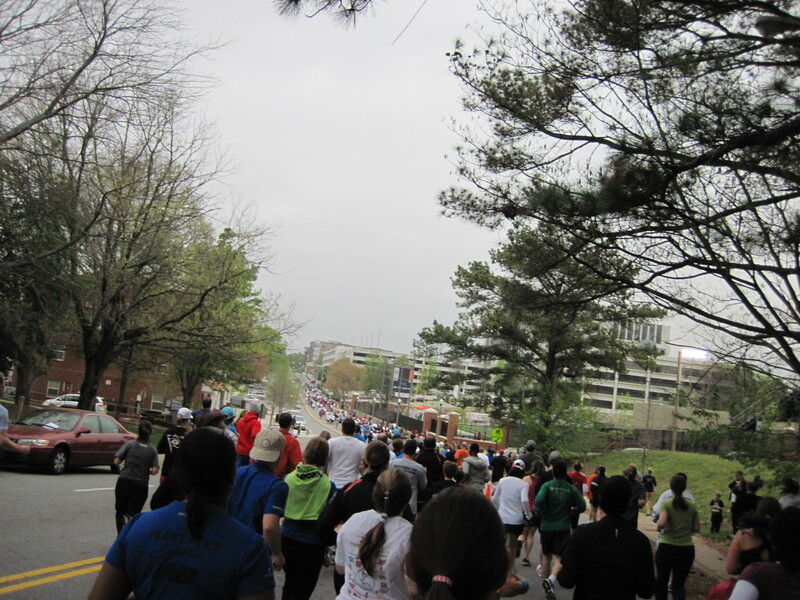 Only a very small portion of those runners are pictured above! 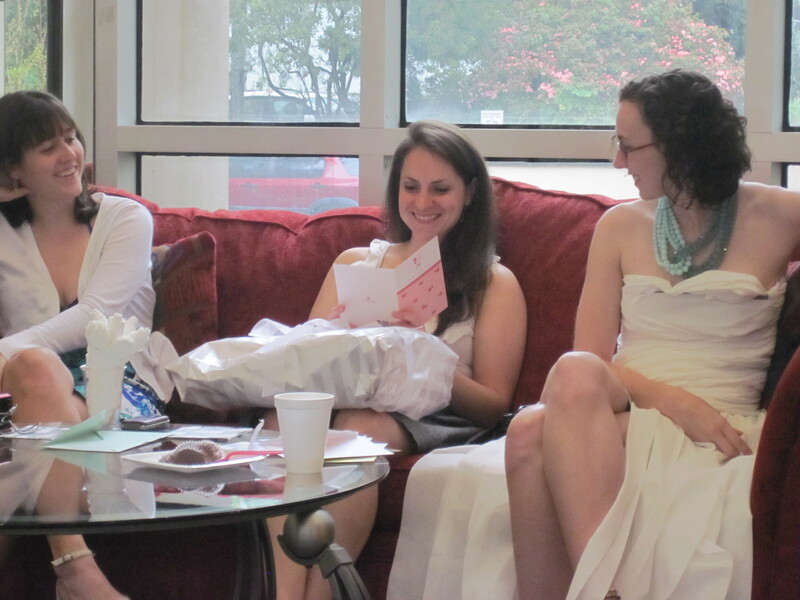 Dawn’s shower was a big success. The tea-party-themed shower featured scones, petite fours, cupcakes, and a variety of crustless sandwiches. 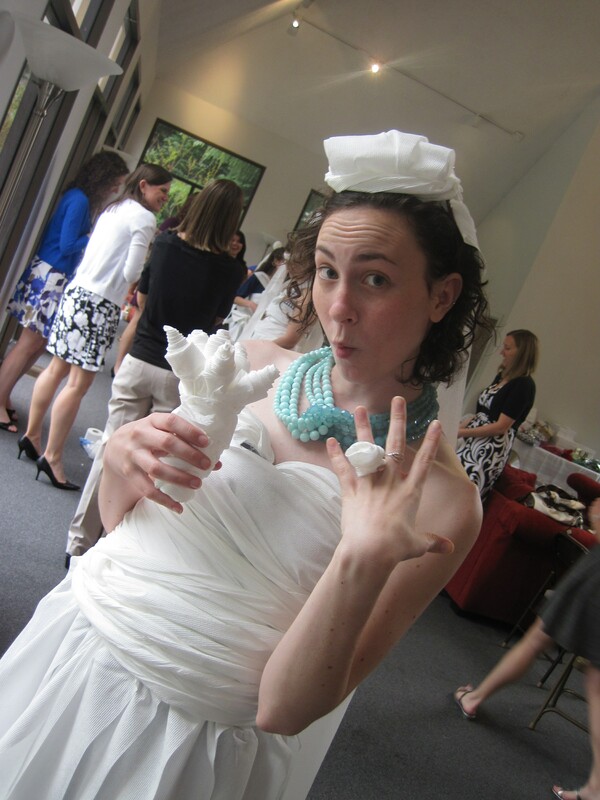 We made toilet-paper bridal dresses (yeah, I made that toilet-paper bouquet) and Dawn opened LOTS of presents. After the shower, we headed out to Decatur for Dawn’s bachelorette party. The festivities began at Dawn’s dorm, then moved out to a bar and a dance club. We had a great time! On Sunday morning, Kimberly & I slept in. After church and a run, I headed back to the airport to go home. Although it was nice to have a diaper-free weekend, I was thrilled to see Krister & Kasen again. This was a fun way to celebrate my last week in my twenties. To celebrate my first week in my thirties, Kasen and I are going to Florida! We’ll be back in the air next week for Kasen’s first vacation. Stay posted for pictures from that trip! Kristin, Thank you for sharing this incredible blog with me! It was quite the weekend and I feel very loved 🙂 Glad you made it back safely. I know your husband and sweet baby were happy to see you home. Happy Birthday!!!! I hope you have such a special day.